Today’s news review examines inaccurate claims about school funding reported by the Guardian. The Guardian published a piece last night, 7 March, based on concerns about school funding from head teachers and parents. Through our proposed new National Funding Formula for schools, we are ending the historic unfairness that sees some areas of England funded disproportionately to others. This means that more than 10,000 schools are set to get more money as a result. The Guardian reports on concerns that specific schools are set to lose funding when the new formula comes in – with head teachers citing they will have to cut resources and staff. The majority of the figures in the piece are, however, incorrect. Billingshurst Primary is set to see an increase of 1.6 per cent, which is a gain of £31,000. West Sussex as a whole will gain by 3.5 per cent, totalling more than £14.5 million. Cornwall schools will gain a total of £5 million in funding – an increase of 1.7 per cent. Reading schools are set to get £2.1 million more, which is a gain of 2.7 per cent. The Guardian reported claims that Ivydale primary in Nunhead faced a 14 per cent funding and that St John’s and St Clement’s would see a reduction of £320,000. This is incorrect. Thanks to the protections built into our proposed formula, no school will lose more than three per cent, with London remaining the highest funded region in the country. Under the NFF, Ivydale’s funding would reduce not by 14 per cent, but by 2.8 per cent while St John’s and St Clements would see a reduction of £56,000 - significantly less than the £320,000 reported in the media. While the piece references that we have protected the core schools budget, there is no mention of the fact that it is the highest in history – over £40 billion this year. 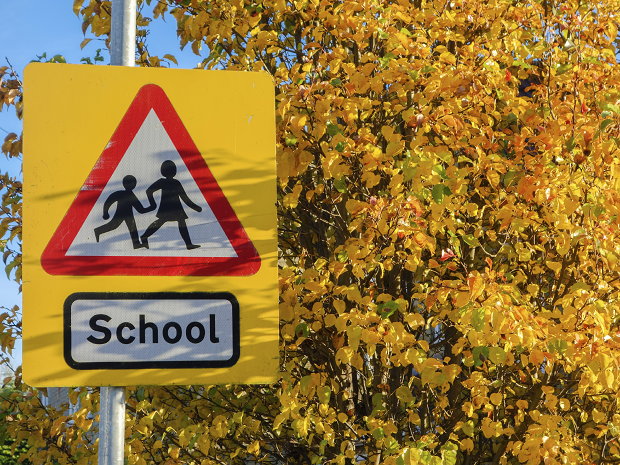 Less than half of the country’s local authorities are set to receive a reduction in overall funding, although many schools in those areas will still see increases. Where schools are seeing reductions we will bring them in gradually, reducing funding by 1.5 per cent in a year at the most to a maximum of 3 per cent. This is not explained in the article. Not including this important point makes the piece imbalanced. Bringing in changes gradually means schools will have time to adapt. The Guardian failed to mention our new School Buying Strategy, which will support schools to save over £1billion a year by 2019/20 on their non-staff spending. This guidance will help schools to better manage their spending on goods and services, freeing up money to invest in high-quality education. We are aware that parents and head teachers are taking the figures cited in the Guardian piece from a site “Schoolcuts” created by unions. These figures are deeply misleading. They ignore the fact that school funding is driven by pupil numbers and as pupil numbers rise, the amount of money schools receive will also increase. They are also based on estimates of cost pressures for the whole of the period 2015-16 to 2019-20, rather than pressures that are still to come. Per pupil funding almost doubled in real terms between 1997 and 2016 according to analysis by the Institute for Fiscal Studies. Against this backdrop and on the basis of benchmarking across similar schools, the National Audit Office concluded that schools should be able to make the required savings by 2020 without affecting educational outcomes. The Government has protected the core schools budget in real terms since 2010, with school funding at its highest level on record at more than £40 billion in 2016-17. Analysis by the Institute for Fiscal Studies (IFS) has shown that spending per pupil almost doubled in real terms between 1997 and 2016. Currently, the system for distributing that funding across the country is unfair, opaque and outdated. We are going to end the historic post code lottery in school funding and under the proposed national schools funding formula, more than half of England’s schools will receive a cash boost.